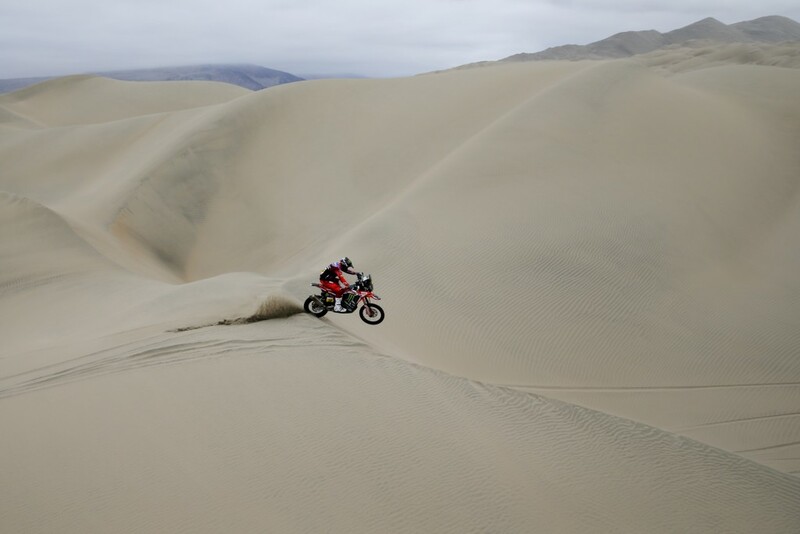 Laia Sanz of Spain rides her KTM motorbike during stage six of the Dakar Rally between Arequipa and San Juan de Marcona, Peru, Sunday, Jan. 13, 2019. 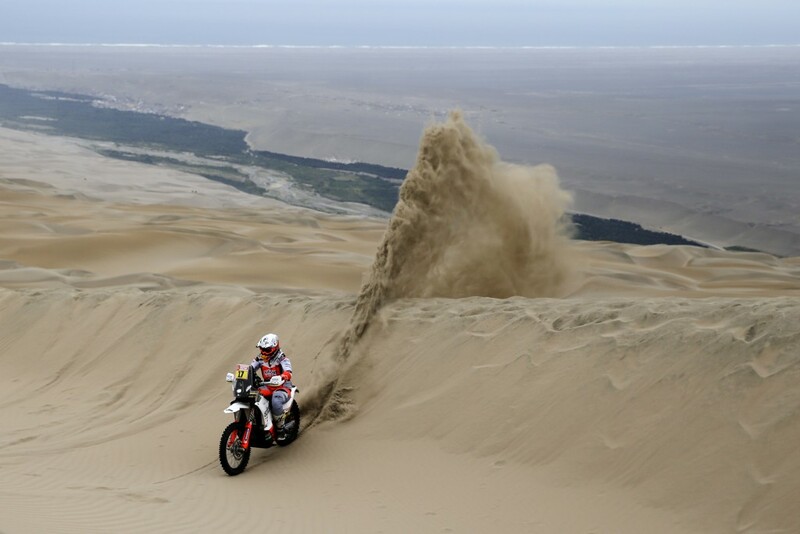 LIMA, Peru (AP) — Sebastien Loeb capitalized on an error by Dakar Rally leader Nasser Al-Attiyah to win a second straight stage and rise to second overall on Sunday. 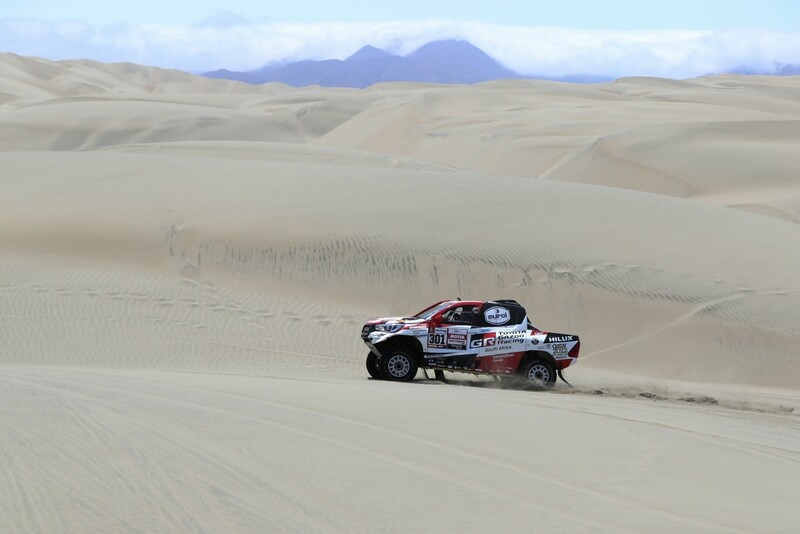 Al-Attiyah led the sixth stage from Arequipa to San Juan de Marcona until about 15 kilometers from the finish when he drove into the wrong valley looking for a waypoint. 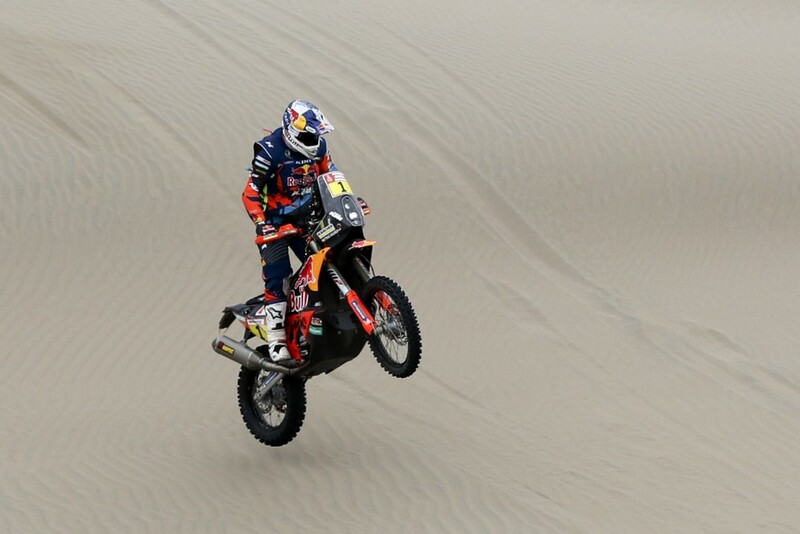 Loeb, two minutes behind the Qatari, moved two minutes ahead and held on to win his third stage of this Dakar. "It was a tricky stage," Loeb said. "We dodged the bullet." "It's not really that comfortable, but it's good to have this very difficult stage behind us," Al-Attiyah said. 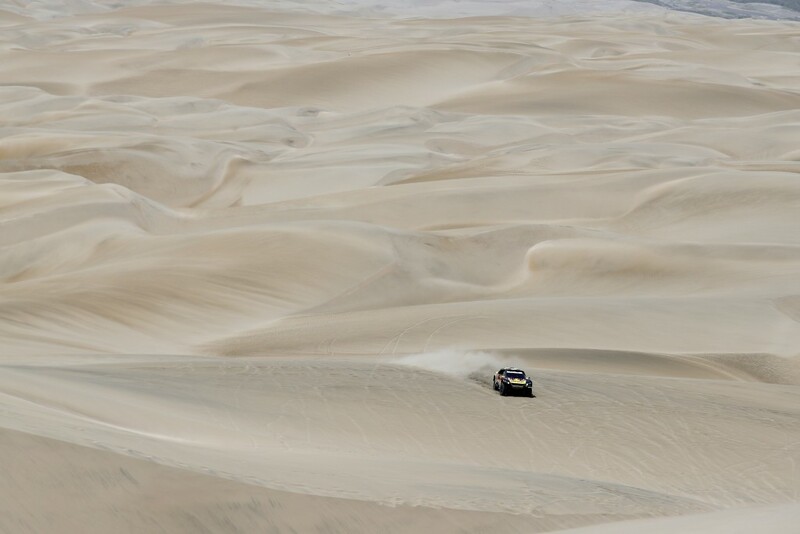 Peterhansel, who started the second half of the rally second overall at 24 minutes behind Al-Attiyah, went to help Nani Roma early but got stuck in a sand basin and lost 20 minutes. With brilliant driving he limited the damage to 12 minutes until he ran in to trouble near the finish, and ended up nearly 19 minutes behind the stage winner. He's 41 minutes behind overall. "Victory's slipping away after too many mistakes," Peterhansel said. 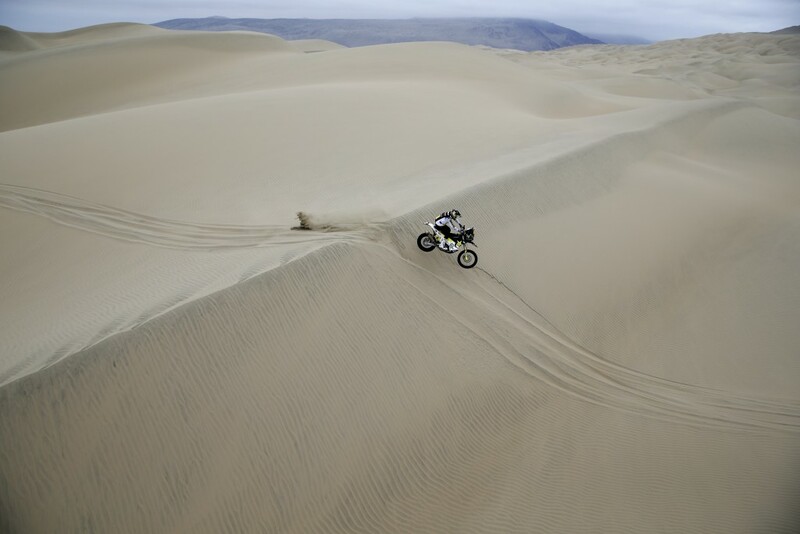 Race leader Ricky Brabec and Sam Sunderland were separated by only a minute but weren't contenders on the sandy stage.